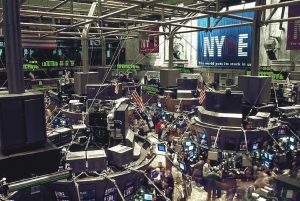 The Dow Jones Industrial Average slipped more than 600 points on Tuesday as speculations on US-China deal hinted at a no deal regarding trade. Even as the dollar reversed losses, the S&P 500, Dow Jones and Nasdaq indices shed Monday gains. Japan stocks fell after Trump administration officials were unable to explain any specifics of the trade agreement with China. Shanghai and Hong Kong stocks were less affected as yuan climbed. There are speculations that there is a halt in tariffs on both sides, but any meaningful resolution is yet to be formalized. Apple (AAPL), Boeing (BA) and Caterpillar (CAT) pushed the Dow Jones Industrial Average to lower levels, with banks losing the most. Bank of The bear movements of America (BAC), JPMorgan (JPM) and Wells Fargo (WFC) added to shedding. Larry Kudlow, who is US President Donald Trump’s top economic adviser, said that Washington still does not have a deal with China to cut tariffs on US-made automobiles. This was in contrast to a Trump tweet a few days ago where he stated that “China has agreed to reduce and remove tariffs on cars coming into China from the US.” The discrepancy has hit expectations, adding to the stock slump back home. China, which bore the brunt of most tariffs from the Trump administration, retaliated from July by raising tariffs on almost every US item entering the Asian country. China has only about $20 billion worth US imports left to impose tariffs on — commercial aircraft is $16 billion of it. Hope has been running high on a meaningful deal to be struck between the two countries that impact many giant firms on both sides. But till official word from any office is out, the market looks to react to speculation.